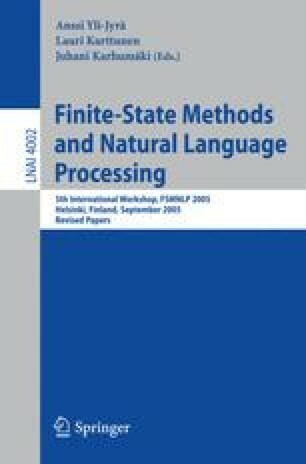 Finite State approaches to Optimality Theory have had two goals. The earlier and less ambitious one was to compute the optimal output by compiling a finite state automaton for each underlying representation. Newer approaches aimed at realizing the OT-systems as FS transducers mapping any underlying representation to the corresponding surface form. After reviewing why the second one fails for most linguistically interesting cases, we use its ideas to accomplish the first goal. Finally, we present how this approach could be used in the future as a—hopefully cognitively adequate—model of the mental lexicon.